With Incentives like these-- this one is hard to pass up! 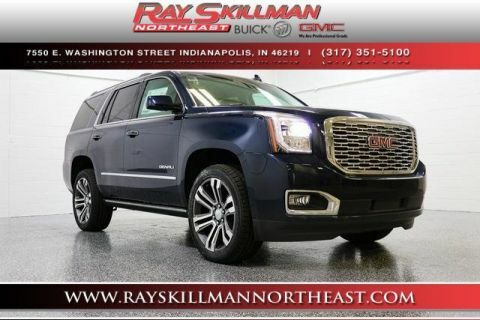 You will love driving this 2019GMCYukon with Standard features include: Leather seats, Bluetooth, Remote power door locks, Power windows with 4 one-touch, Heated drivers seat, Automatic Transmission, 4-wheel ABS brakes, Air conditioning with dual zone climate control, Rear air conditioning - With separate controls, Universal remote transmitter, Audio controls on steering wheel, Traction control - ABS and driveline, Driver memory seats, Memory settings for 2 drivers, Tilt and telescopic steering wheel, 5.3 liter V8 engine, Multi-function remote - Trunk/hatch/door/tailgate, remote engine start, Power heated mirrors, 8-way power adjustable drivers seat, Head airbags - Curtain 1st, 2nd and 3rd row, Passenger Airbag, Heated passenger seat, Four-wheel drive, Fuel economy EPA highway (mpg): 21 and EPA city (mpg): 15, 4 Doors, Heated steering wheel, Front fog/driving lights, Tachometer, External temperature display, Compass, Satellite communications - OnStar and GMC connected services capable, Engine hour meter, Rear spoiler - Lip, Running boards, Trailer hitch.... With our guaranteed approval program, you can drive home today in the style you deserve! With Incentives like these-- this one is hard to pass up! 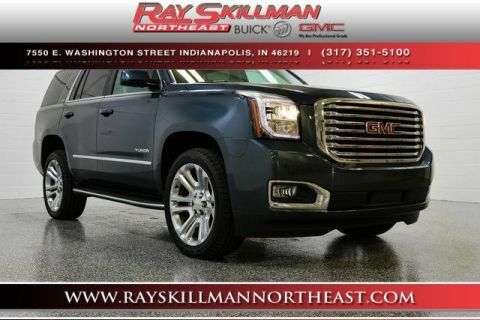 You will love driving this 2019GMCYukon with Standard features include: Leather seats, Bluetooth, Remote power door locks, Power windows with 4 one-touch, Heated drivers seat, Automatic Transmission, 4-wheel ABS brakes, Air conditioning with dual zone climate control, Rear air conditioning - With separate controls, Cruise control, Audio controls on steering wheel, Universal remote transmitter, Traction control - ABS and driveline, Driver memory seats, Memory settings for 2 drivers, 355 hp horsepower, 5.3 liter V8 engine, 8-way power adjustable drivers seat, Head airbags - Curtain 1st, 2nd and 3rd row, Heated passenger seat, Multi-function remote - Remote engine start, Passenger Airbag, Power heated mirrors, Tilt and telescopic steering wheel, 4 Doors, Four-wheel drive, Fuel economy EPA highway (mpg): 21 and EPA city (mpg): 15, Front fog/driving lights, Compass, External temperature display, Tachometer, Engine hour meter, Rear spoiler - Lip, Running boards, Satellite communications - OnStar and GMC connected services capable.... With our guaranteed approval program, you can drive home today in the style you deserve! With Incentives like these-- this one is hard to pass up! 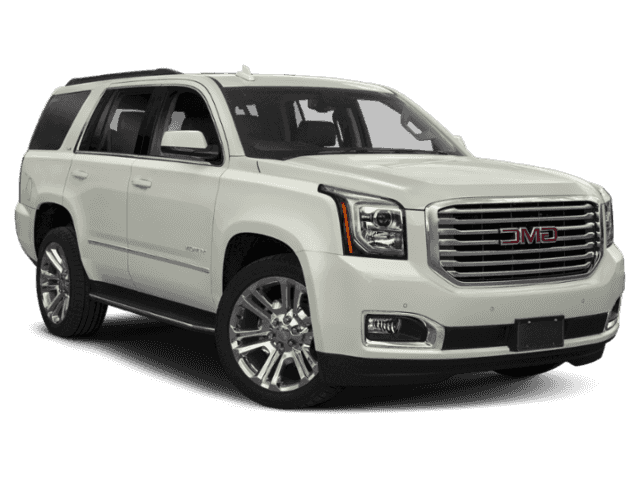 You will love driving this 2019GMCYukon with Standard features include: Leather seats, Navigation system - With voice activation, Bluetooth, Remote power door locks, Power windows with 4 one-touch, Heated drivers seat, Automatic Transmission, 4-wheel ABS brakes, Air conditioning with dual zone climate control, Rear air conditioning - With separate controls, Audio controls on steering wheel, Universal remote transmitter, Xenon headlights, Traction control - ABS and driveline, Driver memory seats, Memory settings for 2 drivers, 420 hp horsepower, 6.2 liter V8 engine, 8-way power adjustable drivers seat, Head airbags - Curtain 1st, 2nd and 3rd row, Heated passenger seat, Multi-function remote - Trunk/hatch/door/tailgate, remote engine start, Passenger Airbag, Power heated mirrors, Tilt and telescopic steering wheel, 4 Doors, Four-wheel drive, Fuel economy EPA highway (mpg): 22 and EPA city (mpg): 14, Heated steering wheel, Front fog/driving lights, Compass, External temperature display, Tachometer, Clock - In-radio display, Head-up display, Trip computer.... With our guaranteed approval program, you can drive home today in the style you deserve! With Incentives like these-- this one is hard to pass up! 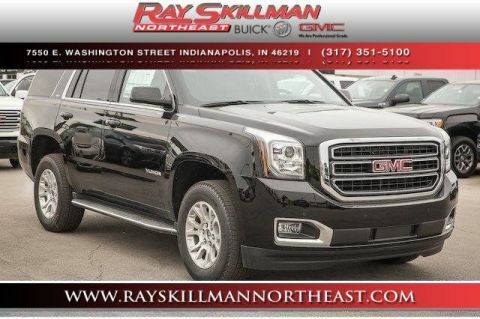 You will love driving this 2019GMCYukon with Standard features include: Leather seats, Bluetooth, Remote power door locks, Power windows with 4 one-touch, Heated drivers seat, Automatic Transmission, 4-wheel ABS brakes, Air conditioning with dual zone climate control, Rear air conditioning - With separate controls, Audio controls on steering wheel, Universal remote transmitter, Traction control - ABS and driveline, Driver memory seats, Memory settings for 2 drivers, 5.3 liter V8 engine, 8-way power adjustable drivers seat, Head airbags - Curtain 1st, 2nd and 3rd row, Heated passenger seat, Multi-function remote - Trunk/hatch/door/tailgate, remote engine start, Passenger Airbag, Power heated mirrors, Tilt and telescopic steering wheel, 4 Doors, Fuel economy EPA highway (mpg): 22 and EPA city (mpg): 15, Rear-wheel drive, Heated steering wheel, Front fog/driving lights, Compass, External temperature display, Tachometer, Engine hour meter, Rear spoiler - Lip, Running boards, Satellite communications - OnStar and GMC connected services capable, Trailer hitch.... With our guaranteed approval program, you can drive home today in the style you deserve!